Firstly we’d like to point out that as far as we’re concerned all travel should be as ‘responsible’ and ‘sustainable’ as possible, (it can never be 100% so), and that should go without saying. We don’t like making a song and dance about it and actively object to the use of eco/green/responsible tourism as meaningless slogans or marketing tools. That said, we will outline a few of our thoughts, policies and specific projects in the field. 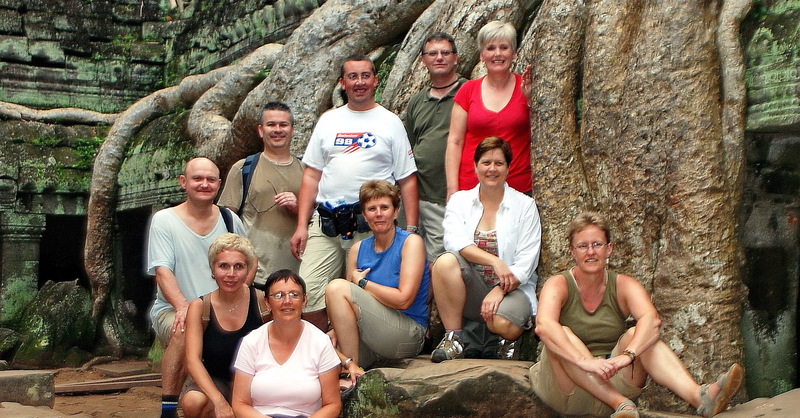 One simple method to reduce impact is to reduce group sizes and, with our scheduled tours limited to either 10 or 12 persons maximum, (depending upon itinerary), we’d say All Points East’s group sizes are genuinely small, Again ‘small group tours’ has become something of an advertising slogan – even if the group concerned is up to 20 persons. Experience has shown that this offers major benefits in various areas, and is integral to our concept of responsible tourism. Furthermore service is inevitably improved with a higher ratio of guides and tour-leaders to customers and we are able to offer a more personalized service. Information and directions are passed on more easily and a high level of flexibility can be maintained, which isn’t possible with larger groups. Transport; we are able to use smaller types of transport as well as making public transport more practical to use. This has practical as well as ecological benefits. With regards restaurants and accommodation; we can use smaller, locally run restaurants and accommodation that larger groups wouldn’t be able to do – again another essential element of our tours. Similar benefits arise with respect to any nature based activities: hiking, snorkelling, bird watching etc. Not only do smaller groups have less negative impact on the natural environment but, as above, it is easier for a guide to transmit instructions and knowledge. There is also far more chance of spotting birds and wildlife with lower numbers. Last but not least – on an enjoyment level, small numbers create a much more cohesive group with far less chance of cliques or ‘groups within groups’. It’s often been described by those who travel with us – and we’ll allow ourselves a pat on the back at this point as it is the intention – as, “more like a group of friends and not like a tour group at all”. Another core feature is travelling outside the box; not going to the same destinations every time – spreading the tourist dollar around a bit! Taking in the famous sites is of course essential but providing a balance between these ‘must sees’ and the off the beaten track ‘best kept secrets’ is a key intention. It’s the rarely visited sites, not usually included in tour itineraries, which we believe frequently provide a more authentic insight into the destinations visited. Not only does this mean you will visit sites which are more remote and which most people don’t get to see, but also that the people living in these less frequented areas get to benefit from the tourist dollar. The vast majority of tourism in Southeast Asian countries only touches a few key sites: e.g. in Cambodia only a very small percentage of visitors get to see anything other than the temples of Angkor, or at a push Phnom Penh. In the case of Thailand the vast majority of the country’s tourism revenue is spent in Bangkok, Pattaya, Phuket, Samui and Chiang Mai . 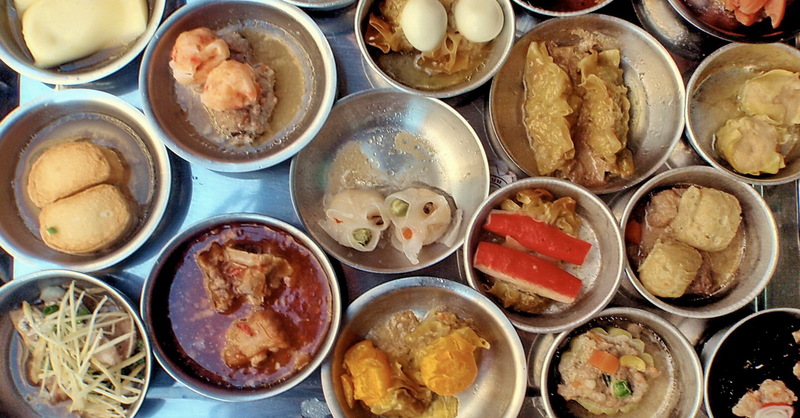 Local food and meals are an essential part of any culture therefore an essential part of enjoying and understanding new and different cultures is discovering their traditional food and eating style. That’s why on all our tours, meals are, as much as possible, based on authentic regional food eaten in local restaurants, and whenever possible, we avoid eating in hotels and fancy tourist establishments. A Thai green curry eaten in a Western chain hotel is probably going to be altered for the Western palate and identical to those found in many high street restaurants back home, whereas one eaten in a bustling night market is going to be the real McCoy! This means better and more authentic food, and also means our custom is going directly to small cafés and market vendors rather than big businesses plus, again providing more opportunities for interaction with local people. By eating in this manner we are encouraging local people to offer local alternatives to visitors and indeed to increase pride in their traditional cuisines. It’s a sad state of affairs, and perhaps a reflection on many tourists, that in many areas, local people are of the impression that all foreigners want to eat pizzas and drink Nescafe!? It’s nice to show the locals otherwise. Never fear, we won’t force anyone to eat fried bugs, (though please feel free to try them!) and hygiene considerations are always high on our priorities – as are traveller’s chili tolerance levels! Note also that most Asian cuisine can easily accommodate vegetarian diets, and again with smaller groups individual tastes can be far more easily catered for. If governments see that creating and maintaining National Parks can create revenue, then it is an incentive for them to preserve such areas, and create new ones, instead of just going for short term gain from logging and endless plantations. Furthermore if local communities can see that national parks, forest reserves, wildlife sanctuaries etc bring in revenue for local communities, as well as employment for local people, then it is a big incentive for them to respect such protected areas and participate in tourism schemes. We therefore feel it is essential to incorporate as many such protected areas into our itineraries as possible – not only to show the scenery and exotic flora and fauna to visitors – but also to encourage authorities and local people to establish and take care of such areas. Below is a list of just some of the national parks and protected areas included on All Points East tours. Tonle Sap, UNESCO Biosphere Reserve – wetlands, bird-life, traditional lifestyles. Angkor Protected Landscape – secondary forest, bird-life and historic interest. Stone Forest of Lunan National Park – limestone scenery & UNESCO World Heritage Site. Dali National Park – lake & mountain scenery, historic Dali Town. Xe Pian National Protected Area – wetlands, extensive lowland forest, flora and fauna. Kinabatangan Wildlife Sanctuary – lowland rainforest and riverine flora and fauna, abundant birdlife and primates. Yala West National Park – wildlife including large mammals. Doi Suthep National Park – Mountain scenery including 3 distinct forest types, birdlife and important temple site. 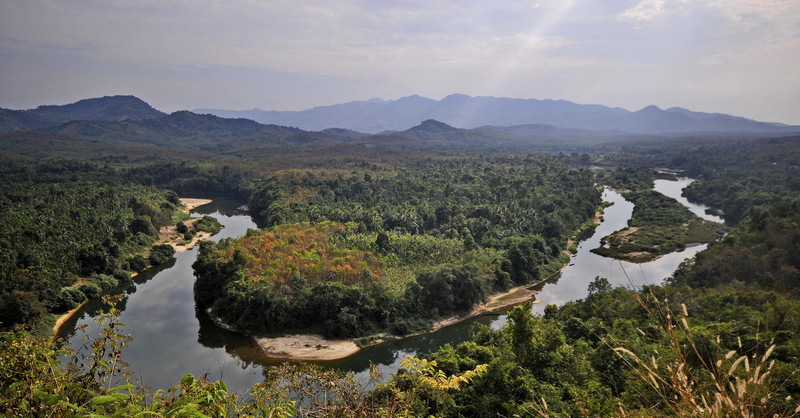 Sai Yok National Park – River Kwai, historic sites and primary forest. Khao Luang National Park – Highest mountain in Sth Thailand – Tropical montane scenery, waterfalls. Pha Taem National Park – Prehistoric cliff paintings and unusual rock formations. There’s no denying tourism causes a lot of damage to coral and coral reefs – much of which is however very easily avoidable. Swimmers inadvertently touching or standing on coral is common and snorkelling boats dropping anchors on coral is another problem. The latter is increasingly rare, with mooring buoys now situated in many popular snorkelling sites but the former is still frequently seen. A lesser known source of coral damage, according to recent reports, is the toxic effects of many sun creams on coral reefs. Avoiding a popular pastime such as snorkelling altogether is no solution. If no-one ever snorkelled or dived on a reef it wouldn’t be in pristine condition it would probably have been dynamited by fishermen long ago! Indeed it’s essential that the commercial potential of coral reefs is demonstrated to fishermen and local people to encourage protection. Taking tourists snorkelling is a good earner for fishermen and boat owners as well as snorkelling guides, and tourists will flock to an island, with their tourist dollars, that’s renowned for it’s great snorkelling. We believe that with minimal instruction to snorkellers these problems can be avoided: clear instructions not to touch anything whilst snorkelling and under no circumstances to stand on coral and so on. (Many people aren’t always capable of identifying coral and may be convinced they’re standing on a rock rather than a large brain coral!) We would also recommend keeping sun cream use to a minimum and a t-shirt and light trousers in the style of Thai fisherman’s pants are more eco-sensitive solutions to avoiding sun burn whilst in the water. One of the successful, earlier projects that All Points East and our travellers were involved in was raising financing for the construction of a new village primary school in Don Khone Nua Village on Don Khone Island, Champassak, Laos – a village that we’ve visited for a number of years on our South Lao tours. The existing ‘schoolhouse’ for this large village was, to say the least, pitiful (and roofless) and a project was organized by Peter Cochrane, (former All Points East tour-leader), to organise donations in order to provide funds for the construction of a new building, as well as some basic items for the finished school. Here’s the results — not exactly beautiful but at least functional with solid walls, roof and toilet facilities for the kids and certainly much appreciated by all concerned. 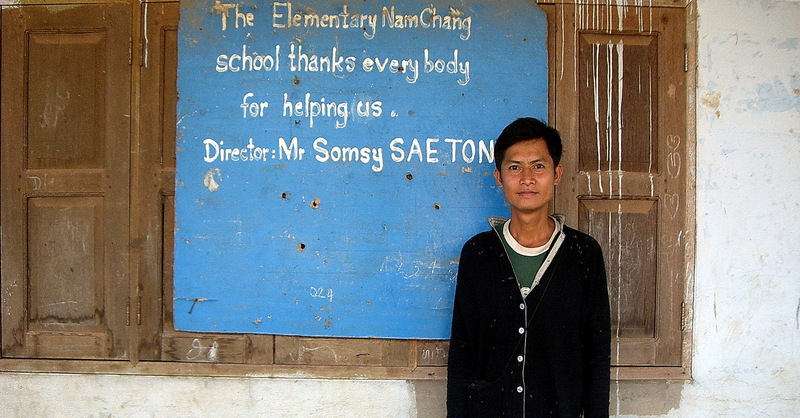 Thanks again to all those involved for making a difference for the families and kids of a remote Lao village, and please look out for news on our upcoming project in Pak Si Village school near Luang Prabang, Nth Laos. Discussions have begun with the school teacher and donations have started! 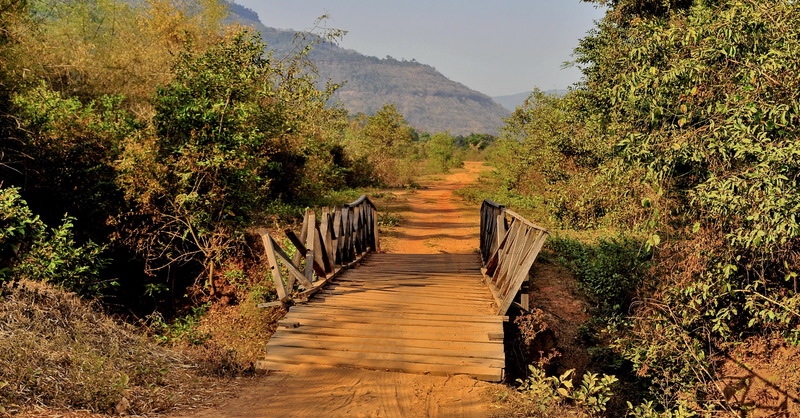 Ban Nam Chang is a small village, a few miles outside of Huay Xai in northwestern Laos, inhabited by people of the Lanten ethnic minority group. Like many other remote mountain dwelling groups, they have often been somewhat left out of development in lowland and urban parts of Southeast Asia — having lower education opportunities, poorer agricultural land, less access to health care and lower incomes. As well as regular discussion with Mr. Som Sy, to organize contributions to the village school in the form of text books, crayons, sports equipment etc, other assistance to the village undertaken by All Points East staff and customers includes financing and facilitating 2 eye operations for village kids and more recently, buying an electricity generator for Ban Nam Chang village which is as yet without either electricity or running water.